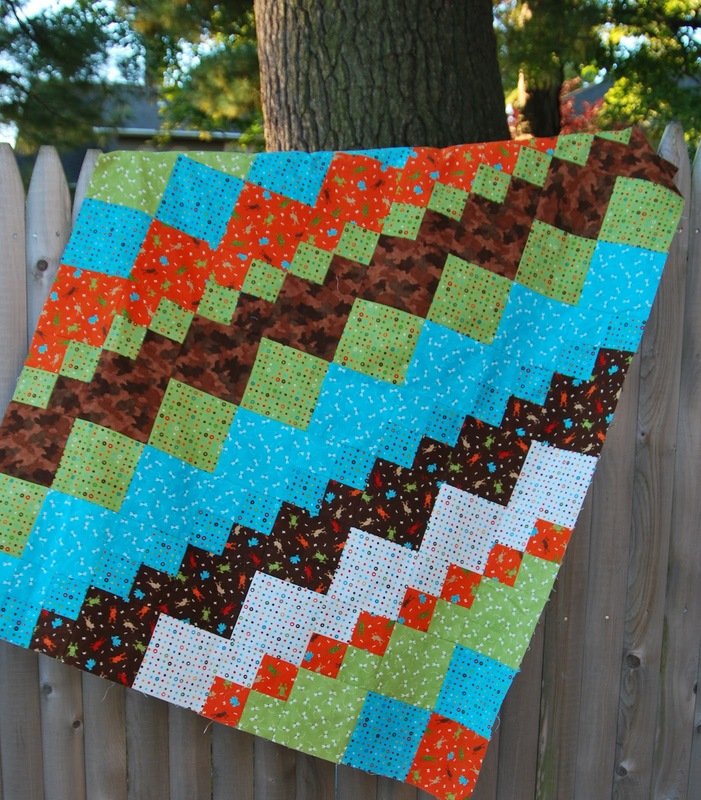 I've never made the same quilt pattern twice. 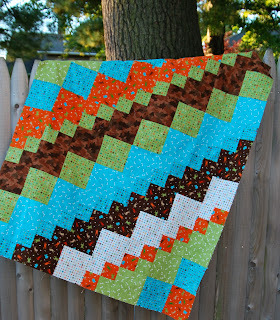 But I was so very happy with the Seven Seas Square Dance quilt that I decided to make another one. The whole process was much quicker this time, and I think my total sewing time for the whole top was maybe 2 1/2 hours. I used flannel Meadow Friends by Deb Strain. When I bought this I really felt like it was gender neutral. I decided to leave the pinks out, because the baby this is for is arriving in November, and I thought it would look fall-ish. Now I'm wondering...is it to masculine? I love the orange and white. What do you think?? There are all of these adorable frogs and dragonflies, that you can only see up close. There were some prints in the cotton line that I didn't get in my flannel bundle, but I'm using one of the cottons with a lot of the creatures for the backing. I have to say that it is SO encouraging to be able to put together a quilt top so quickly now. Our side fence is my favorite picture location for quilts.